Welcome to the City of Bastrop, Texas! The city itself is named after Felipe Enrique Neri, who called himself the Baron de Bastrop. Bastrop immigrated from the Netherlands to Louisiana where a city is named in his honor. 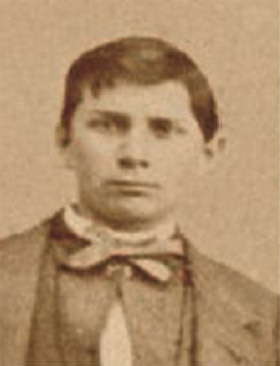 He later migrated to the Mexican state of Texas and befriended Moses Austin who died, leaving an unfinished dream of obtaining land grants in Texas. After Moses’ death, Stephen F. Austin continued his father’s dream. In 1827, largely thanks to the Baron’s intervention, Stephen received permission to locate 100 families to this area. Called “the Little Colony,” the Texas town and county are also named in honor of the Baron. On June 8, 1832, the town was platted and officially named Bastrop, but two years later the Mexican legislature of Coahuila and Texas renamed it Mina in honor of Francisco Javier Mina, a Mexican martyr and hero. 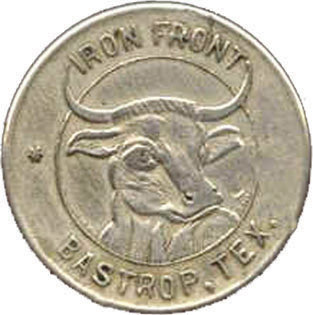 Five years later, the town was incorporated under the laws of Texas and the name was changed back to Bastrop. 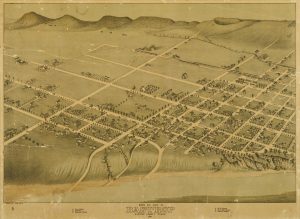 Most of the buildings downtown were rebuilt after a fire devastated the town in 1862, creating a pristine Texas town nestled along the Colorado River. We hope you enjoy this stroll back in time through our town’s history. 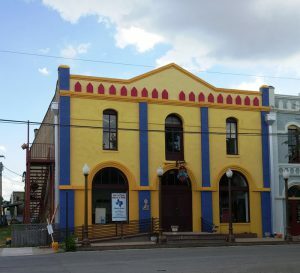 Begin your tour at the Bastrop County Museum & Visitor Center, a building which once served as Bastrop’s City Hall. In this tour, you’ll visit more than three dozen historic buildings and sites, many of which were built after a fire devastated the town in 1862, creating a pristine Texas town nestled along the Colorado River. We hope you enjoy this stroll back in time through our town’s history. The building is situated on what was once the western end of Pine Street, one of the streets platted during the founding of the city. In the 1840s, Pine Street went all the way to the river and was one of three major streets that led to the ferries and natural springs along the river bank. Eventually, water wells were dug in town and Pine Street began to carry less and less traffic due to the construction of the bridge in 1890. Four years later, in 1894, a small building, “Fireman’s Hall,” was placed in the middle of the street. Fireman’s Hall was a small structure that accommodated two hose carts, one hand engine and a bell. By 1920, the building had been expanded and had become the center of city government. Besides serving as a city hall, the building held the city’s legal documents and firefighting equipment. In 1930, complaints about the poor condition of the building prompted city leaders to build a new city hall together with a building to care for the fire apparatus. The Fireman’s Hall was completely demolished and a new building, a one-story Spanish type building of brick was built in its place. It cost approximately $7,500 and had an office for the mayor and tax collector, as well as council chambers. The building was remodeled and expanded in 1947 and covered with stucco. After 115 years on Pine Street the city hall was moved to Chestnut Street. 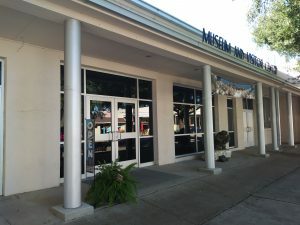 Today this building serves as the Museum and Visitor Center of the Bastrop County Historical Society. 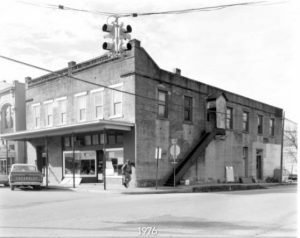 The building at 906 Main served as Bastrop’s post office for more than 50 years. Built in 1897, the building started out as a meat market, and in 1906 became the post office under the direction of postmistress Mrs. Sally Brooks. In the 1940s, the interior wall was opened up to make one large post office to better serve the needs of the growing community and the soldiers of Camp Swift. Throughout the 1960s, the combined buildings served as the city library. Today, the two buildings have different owners and the open interior wall between them is once again closed. 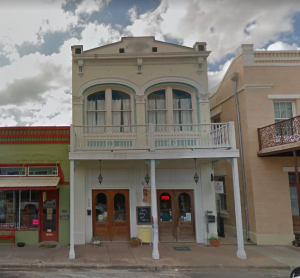 The buildings at 910-912 Main Street were the shops of Carl Kleinert and William Kesselus, both of whose great-grandsons still live in Bastrop. Take note of the cast iron columns and pressed tin cornices with urn finials. 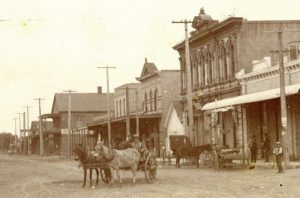 Built together in 1895, the buildings at 918 and 920 Main Street were called the Knittle Buildings after the local shoemaker and his two sons who owned them. The buildings became brick between 1906 and 1912, and served as a shoe store for many years thereafter. 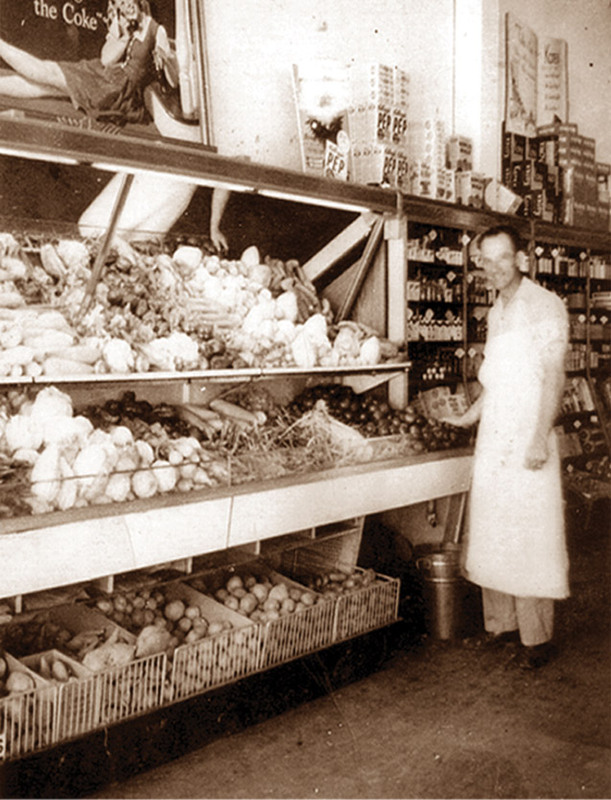 In 1964, Frank and Myrtle “Mimi” Denison ran a flower shop in one of the buildings. In 1978, Barbara Phillips Bridges opened a fabric shop in the Denison’s former space. Barbara’s son, Ronald Howard “Moose” Bridges, was 13 years old when his mother opened the shop. Today, Moose is the owner. Moose discovered the original wooden floor, raised the old ceiling and found walls four bricks thick. He renovated the building, uncovering a skylight. The other building, with three grand arched windows, is how to a retail shop. The building at 926 Main Street dates back to 1905. Notice the original sawtooth detailing above the transom. The bank building at 928 Main Street was completed in 1911 in the American Beaux Art/Neoclassical Revival style. The building is noted for its two large arched window openings with brackets, as well as the simple parapet and tin cornice. The bank’s long-time president, Paul D. Page, used the upper floor as a law office until his death in 1945. Page and then-Congressman Lyndon B. Johnson were the leading forces in bringing Camp Swift to Bastrop. The Citizens State Bank occupied this building until 1974. Cross the street to continue down Main. On the corner is the Burch Building at 930-932 Main Street, which served many years as Nelson Burch’s Dry Goods and Grocery Store. It was one of the first buildings constructed after the 1862 fire that destroyed all the buildings on both sides of the block. It appears in late 19th century photographs with a high pitched roof. The roof blew off in a storm at the turn of the century and was replaced with a flat roof. Today the building is home to Abri Gallery. In 1933, Tom Powell Hayne obtained the exclusive Chevrolet dealership, razed the frame buildings on this lot and replaced them with brick. Coca-Cola finally purchased the building from the Haynie grandchildren in 1972, then sold the building to Charles DeWitt Alexander and his wife, LaVerne, in 1980, who used the building as a warehouse. 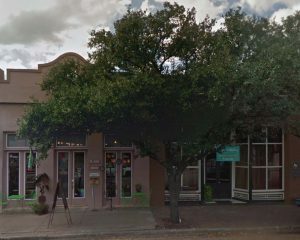 The front half of the building was leased to the Ladies of Charity, Bastrop Bargains and later a combination Mexican restaurant and grocery store. It is now Lost Pines Art Bazaar. 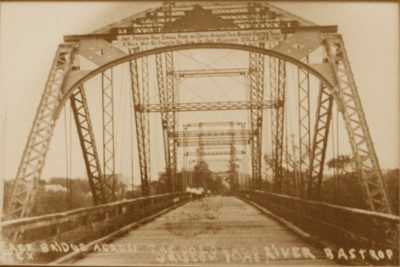 The original “Old Iron” bridge, shown below but now gone, was built in 1890 at a cost of $45,000 and replaced the ferries that had aided river crossings since Bastrop’s early days. It was torn down in the 1930s. After World War I, a new bridge was needed to handle the increasing traffic between Houston and Austin. The steel bridge, now a pedestrian crossing, was completed in 1923. This new bridge is now affectionately referred to as the “Old Iron Bridge.” A dedication ceremony was held Oct. 25, 2013 to name the bridge after Navy SEAL Stephen “Matt” Mills, who was killed in action while serving in Afghanistan. Cross the street at Chestnut Street to continue toward North Main. 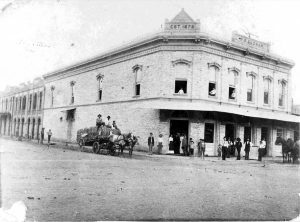 J.C. Buchanan built a one-story building at 1002 and 1004 Main Street in 1880. 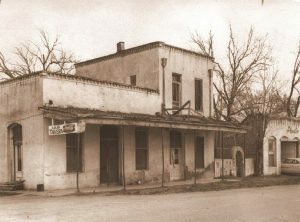 The building was divided in half and over the years both halves passed through the hands of many Bastrop families. In the 1940s, the business at 1004 Main Street was called a grocery store, but it was really a barbecue and beer hall. The bar finally closed in the 1970s. The building sat vacant for about 30 years until 2004, when Dan Hepker, owner of the south half of the building, purchased the north half. Both halves are again under the same owner for the first time in more than 120 years. Today the buildings serve as Bastrop Copier and Anita’s Mexican Food. 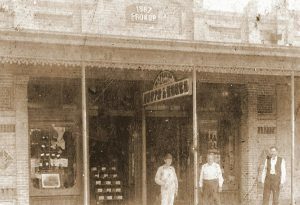 Bastrop Copier is one of the downtown’s longest standing businesses. 1006 Main Street is one of Bastrop’s three Erhard Buildings. The Erhards were a prominent family in Bastrop. This building was constructed in 1895. Note the pressed tin awning ceiling, tiled entry and brass window moldings. 1008 Main Street was built in 1880. The 1885 Sanborn Fire Insurance map shows the business to be a Dry Goods Store, and for a number of years thereafter, a saloon and billiards room. Matt Anderson and his succeeding generations owned and/or leased out the building for another 66 years. One lessee, Ernst Gustav “Gus” Guse, used one of the Erhard buildings for about 35 years as a saloon. Gus was a true Bastrop character. His team, consisting of ten men, won Bastrop’s “Fat Man” contest with a total weight of 2,308 lbs. Gus is in the front row, second from far right. At 1010 Main, Simply Sweet resides in the Haynie Building, which boasts an ornate parapet. This is the site of the old First National Bank, built in 1889 of local brick and lumber. It withstood a fire in 1890 that began at a nearby livery stable, killing 19 horses. As the story goes, ladies from the nearby church gathered with buckets to keep the water going, helping the volunteer firemen to save the newly constructed bank. Today the building is owned by Robert Duff, a descendant of the Erhard family and father of actress Hilary Duff. Next door, toward Spring Street, is the R.A. Green building, at 1022 Main Street. After the fire in 1890, merchant Rufus A. Green authorized the laying of a foundation for two new brick stores. One remained vacant for several years while the other became a millinery store operated by Fenora Chambers. Mr. Green left the buildings to his daughter Minnie K. Ransom, who used them as a “picture show” in 1915. In later years, the buildings served as the Piggly Wiggly store, various hardware stores and a water well service. It is now a small business incubator, nurturing Bastrop’s next generation of retailers and professionals. Cross North Main at Spring Street. Cross Main Street to see the stately P.O. Elzner building known as Elzner’s Corner. Elzner erected the two-story Italian Renaissance building at 1025-1027 Main Street and joined it with his two buildings already existing on Spring Street. During a renovation of the structure, floor joists of huge cedar logs were found underneath the wooden floor on the lower level. An old cistern was also uncovered. The original stairway with turned walnut balusters remains. At over 10,000 square feet, it is the largest commercial building on Main Street. 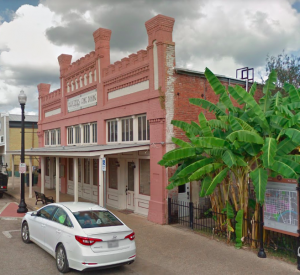 Around the corner, at 711 Spring Street, you’ll see the famous Bastrop Opera House, built in 1889. It has served as the center of entertainment in the area for many years. In 1942, it became the Strand Theatre and was in operation through World War II. In the 1950s, it was known as the Teen Tower and hosted sock hops and other social events. It fell into disrepair but was restored in the late 1970s, and since 1984 it has consistently offered award-winning live performances of vaudeville, melodramas, dramas, musicals and comedies. The stage is held up by massive cedar log joists. The foundation under the stage, which actors once accessed by a trap door, is dirt. Here is a rare view of Spring Street in the early days. The ATM you see at the corner of Spring and Water Street was once the City Garage. Return to Main Street and turn left. The building next to the alley is the 1895 Elzner Mercantile, which is currently First National Bank. In recent history, this building served as a combination drive-through liquor store and antique emporium. The 1890 Old Iron Front Saloon, built before 1879, with its second story raised parapet of pressed tin, now houses businesses at 1009 Main Street. 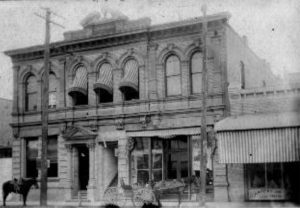 At one time these buildings, at 1005 and 1007 Main Street, served as space for Pearcy & Booth, which sold both ladies’ and gents’ furnishings. Mr. Miley built and opened a drug store at 1003 Main Street in 1905, complete with a soda fountain. This site was first occupied in 1855, serving as the office of Dr. David Sayers, father of turn-of-the-century Texas Governor Joseph Sayers of Bastrop. 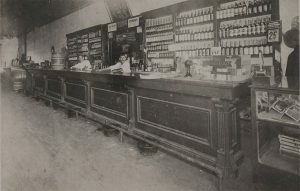 Fannie Miley operated the Miley Drug Store after the death of her husband in 1927. For more than 40 years, the building was known as Lock Drug. Here is a glimpse of Chestnut Street as it looked in the early 1900s. In the background of this photograph, taken at the northeast corner of Main and Chestnut Street, is the Reynolds Building, which no longer exists. 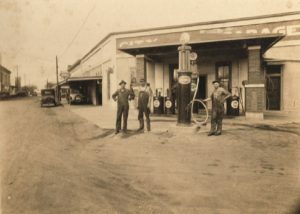 The Eskew Humble Service Station came later and was at this location for more than 50 years. Cross Chestnut Street and turn left. Just beyond Piney Creek Chophouse is the 1892 Julius Theilman Building. Theilman was a gunsmith. Inside you will see a staircase, and if you look closely, you’ll see a warning painted on the stairs to discourage ladies from venturing to the second floor. The warning was added during World War II when soldiers from Camp Swift who’d had too much to drink at the establishment downstairs could pay a few cents to rent a cot upstairs where they could “sleep it off” before heading back to the base at Camp Swift. Turn around and head toward Main Street. The historic brick building on the corner at 931 Main Street was built in the late 1870s. When T.A. 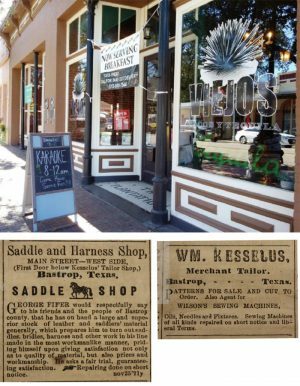 Hasler arrived on the shores of the United States from Switzerland in 1861 as a penniless teenager, he probably could not have imagined he would settle in the small town of Bastrop and build a prosperous business empire here. He was also a musician. Records note he was a member of the Turner Brass Band in 1875. The land and buildings at the corner of Main and Chestnut Streets, still called Hasler’s Corner, became the centerpiece of his enterprises and included a saloon, funeral parlor and crematorium, dry goods store, grocery store, warehouse and the town’s general store. His business enterprises flourished until his death in 1909, at which time his businesses were divided among his children. 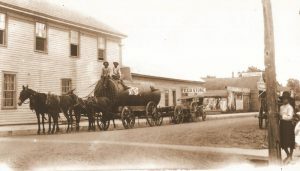 In order for businesses to qualify for insurance, the town was required to have a fire department, so local businessmen formed Bastrop’s first volunteer fire department and posed for this early photograph in front of the Hasler Building. Step to the vacant lot next to Relics. 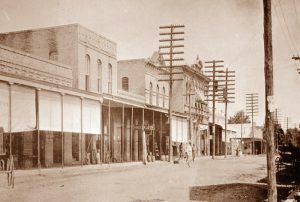 In 1865, Cayton Erhard purchased a burned-out building near the center of the block along Main. 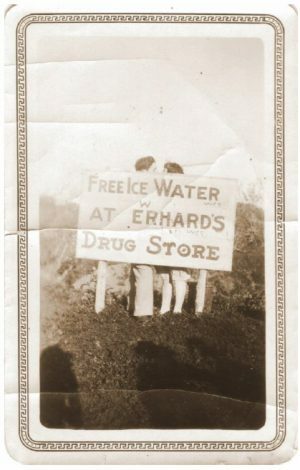 He built a new building and business he named Erhard’s Drug Store. 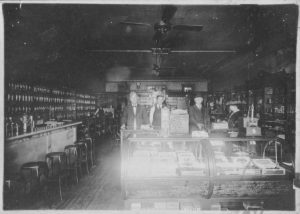 His son, Albert, became his partner and the store was renamed the Erhard & Son Drug Store. 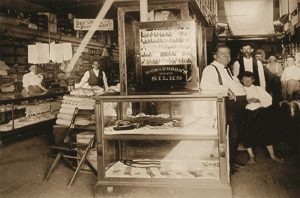 His son, Harry, owned the store until his death in 1963. Three buildings have burned on this site. 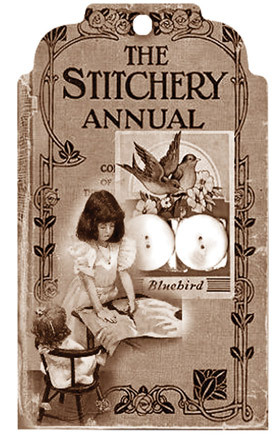 The first, in 1862, was said to have been started to cover up the murder of a teen watchman. The building burned in 1980 due to fire spreading from the building next door. The Texas Mercantile Building, also built on this site, was completely destroyed by fire in 2003. This building was destroyed by fire in 1862, thought to have been started to cover up the murder of a teen night watchman. The wooden building was replaced by this brick structure with a castle parapet. 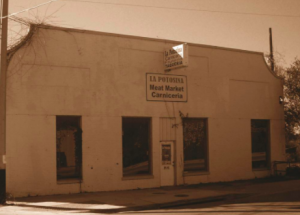 It was known for decades as the Bastrop Meat Market. Over the years, the building has served as a butcher shop, hardware store, barbecue restaurant and a gift store. In 2008, the building received the President’s Award for Best Renovation by the Texas Downtown Association. The Prokop brothers worked in Galveston as dock hands until a family member persuaded them to relocate to Bastrop. 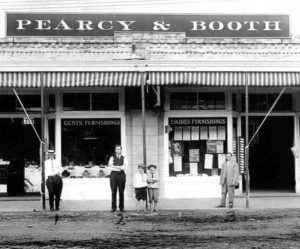 Returning to boot and shoe repair, the trade they had learned in Germany, the Prokops built the current building at 913 Main Street in 1887 and set up their own store. They offered complete boot and shoe repair and even made shoes. In those days, a pair of boots sold for as much as five dollars. The family, which still owns the building, treasures a book with foot measurements of men in old Bastrop. The building later became a mercantile, a dance studio, a bookstore and is currently a shop. The actual shelves which held the shoes were uncovered in a renovation a decade ago. The building topper with the Prokop name remains as well. Next door, at 909 Main Street, is the Bauhoff Building. 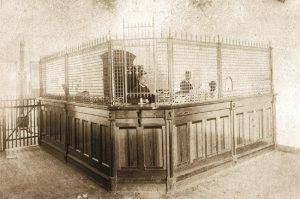 It is believed to be the temporary quarters of the First National Bank before it moved to 1016 Main Street. Today it serves as a chiropractor’s clinic. Next door is a restaurant, Maxine’s, at 905 Main Street, housed in the Wertzner Building that was built about 1870. The building originally housed a grocery and dry goods store run by the Wertzner family. Between 1900 sand 1925, the building housed a variety of other businesses, including a warehouse and a tailor shop. 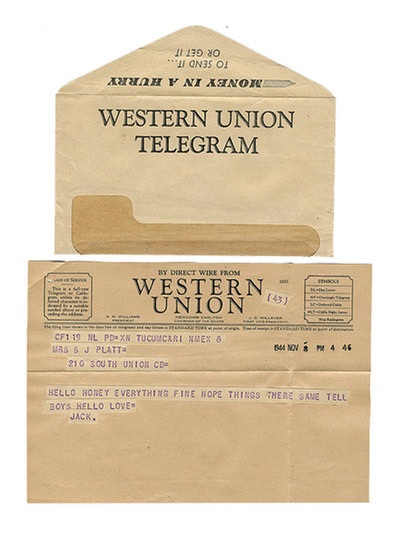 In 1940, Leon Wertzner sold it to Delia Hasler, who built a small room inside to serve as a Western Union office for servicemen and their families during World War II. The room was later dismantled and the building was used as a warehouse until 1983. Cross Pine Street, continuing on Main Street. At the corner of Main and Pine is a two story building with a colorful past, having hosted a number of businesses including a funeral parlor and a Mexican restaurant simply called “The Café,” where food was prepared for migrant coal miners. During World War II, the building’s enterprising proprietors, who lived next door in the storehouse (behind the courtyard), built 1846, ran two businesses, a laundry downstairs and a brothel upstairs. The brothel didn’t last long. It was shut down by officials from Camp Swift. The building next to the courtyard was once a mechanic’s garage. Turn onto Pine Street to see the two-story building on your right. 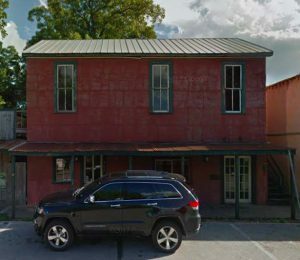 In this 1880s building which once served as a horse tack store, there were many dances upstairs when a second story was added in the 1920s. 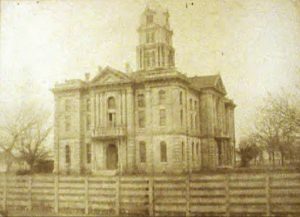 The Bastrop County Courthouse, at 803 Pine Street, was built in 1883 and designed in a classical revival style. The structure was altered substantially in the 1920s. A great collection of historic photographs adorn its walls. 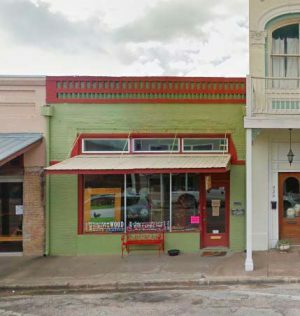 Notice that, unlike many Texas county seats, Bastrop’s business district is built along the riverbank, rather than around a courthouse square. Next to the courthouse is the Old County Jail, built in 1891 and in use until 1974. The jail is a masterpiece of late 19th-century second-empire Victorian, and a favorite location for TV and movie crews filming in Bastrop. The basic structure consisted of six rooms and a bath on the first floor, cell blocks for women and the criminally insane on the second floor, cell blocks on the third floor and an attic. It was also the site of several documented hangings and still has the infamous hanging hook on the ceiling of the landing leading to the second floor. 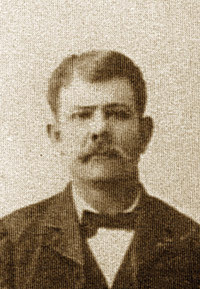 Junius Fletcher Nash pictured above was the stagecoach driver who ran the line from Bastrop to McDade. He was also once City Marshal and jailor of Bastrop County. Retrace your steps back on Pine to Main Street. 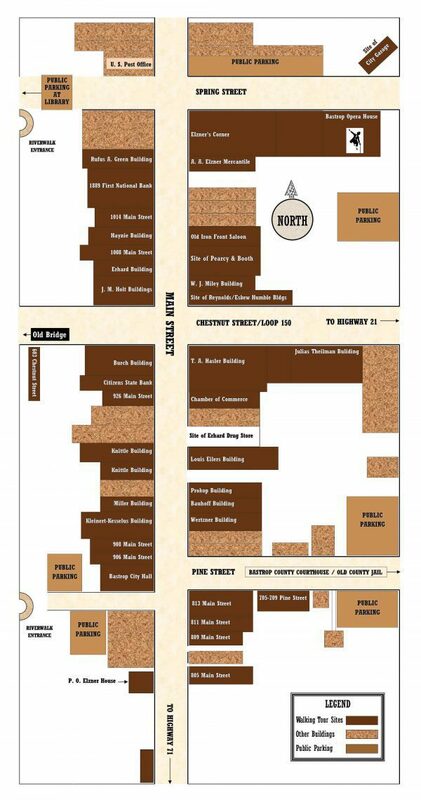 Cross Main and continue walking between the Wells Fargo Bank and your starting point, the Bastrop Museum & Visitor Center. You’ll see an archway and steps down to Fisherman’s Park. The sidewalk below extends for one mile along the scenic Colorado River. Created in 1998, it honors a resident of Bastrop, June Hill Pape. 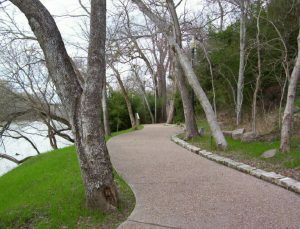 Here you can stroll from Fisherman’s Park to Ferry Park and feed the ducks, enjoy the scenery or just relax in a swing beside the river and dream of days long ago in Bastrop, Texas. More information about the Baron may be found in the research library at the Museum and Visitor Center of the Bastrop County Historical Society or go to: www.BastropCountyHistoricalCommission.com.